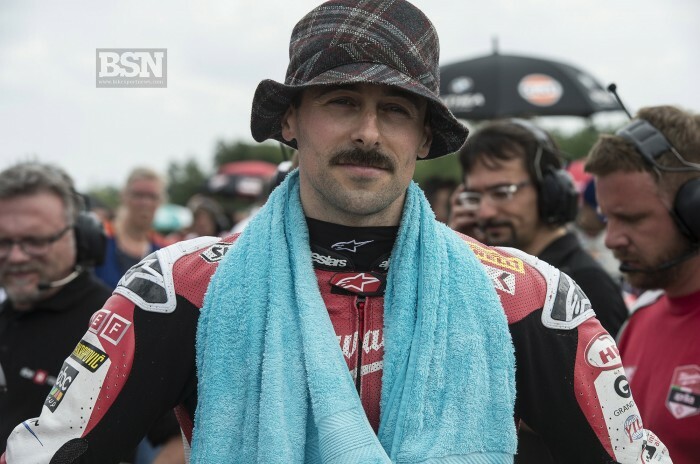 Eugene Laverty will remain in the WorldSBK series for 2019 after signing a deal to ride for the Go Eleven squad. Laverty will change from Aprilia to Ducati power next season as the team have secured a brace of customer Panigale V4s. “I’m delighted to join Team Go Eleven to ride the new Ducati Panigale V4 R in 2019. The past five weeks has been a stressful period so it’s great to secure a competitive seat in the end,” said Laverty. Ducati sporting boss Paolo Ciabatti was very keen to field a satellite team in 2019 as well as the semi-works Barni squad but would only do so if the right rider was part of the package. Laverty and Xavi Fores were in the frame but the Irishman won out and Fores went to Honda in British Superbikes.